Scroll through our nice selection of New York wedding cakes, including ones that are available for affordable prices. Find some of the most beautiful and delicious wedding cakes New York has to offer, as you search through our guide. 42 Greene Street, 5th Floor, New York, NY 10013? Wedding Cakes in NY from a True Maestro! If you're on the lookout for some of the most delicious wedding cakes in New York, why not purchase one from pastry genius Ron Ben-Israel? In less than a decade, Ron's artistry became legendary, earning him the reputation of one of America's true cake maestros. He's even made appearances on such TV shows as The Oprah Winfrey Show, Martha Stewart Living, and The Late Show with David Letterman. Plus, his beautiful cake creations have been featured in such national periodicals as Town & Country and New York Magazine. Business hours are Monday through Friday, from 9 A.M. to 4 P.M. If you'd like to schedule a cake tasting, you may do so during that time frame. All consultations and tastings last approximately an hour. One of the main events of your wedding day will be when you get to cut your wedding cake in front of all your friends and family. Your wedding cake will sit beautifully throughout your wedding reception and will be gazed upon by everyone as you cut that very first slice as husband and wife. 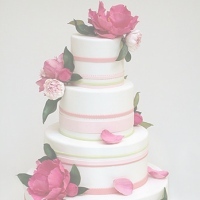 It is common when choosing a wedding cake to match it up with your wedding color theme or wedding style. Some couples opt for the traditional tiered wedding cake, whereas others are a little more adventurous and go for a unique wedding cake or even cupcake wedding cakes which are easy to distribute. However you want your wedding cake to be, it mirrors the bride and it is very important to know where to have your wedding cake made. Some of the most unforgettable wedding cakes in NY are created mainly at The Cake Alchemy. 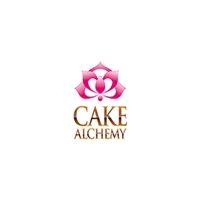 The Cake Alchemy confections are the epitome of elegant chemistry, fusing flavor, design and ambience to create what some have called edible works of art. 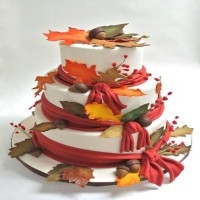 Owner Lauri Ditunno, featured on WE TVs Amazing Wedding Cakes in NY and a Food Network Challenge participant, uses only the finest ingredients and handcrafted detailed decorations, ensuring that each cake appeals equally to both the discerning eye & palate. Marvelous Wedding Cake By Empire Cake! Empire Cake offers a perfect centerpiece for a wedding, where the wedding cake is eye catching and beautiful for what it is. Empire Cake uses only the freshest of ingredients in making the perfect wedding cake and it is always guaranteed that their wedding cakes are delicious and a spectacular site to see. So order your wedding cake at Empire Cake where the cake is always delicious and makes your wedding complete. Other baked goods offered are their famous cupcakes, brownies and cookies. All are made from the finest ingredients which makes their baked goods fresh and simply delicious. Delectable Wedding Cake By Fay Da Bakery! Fay Da Bakery offers a wedding cake that is tasty, elegant and simply beautiful. 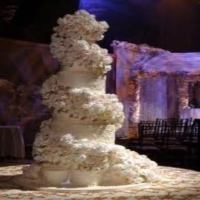 The cake is designed for what you want the cake to look like and it is an amazing centerpiece for your wedding. The cake is carefully hand-crafted in detail in order to make the cake stand out and look spectacular for what it is. Order your cake today at Fay Da Bakery where all cakes are guaranteed fresh, delicious and beautiful. Their cakes are perfect for any special occasion and a great way to celebrate. A Wedding Cake Fit For The Couples! City Cakes is located in 251 West 18th Street New York City and offers some of the most beautifully designed and absolutely delicious wedding cakes in town. It is a great place to order your wedding cake, where the designers and makers of the cake are among the highly skilled and creative cake artists in the city. The shop is open every day with its opening hours on Monday to Friday from at 11 Am to 9 Pm and on Sundays from 12 Pm to 9 Pm. So if you're having a wedding or any special occasion you can always order your cakes from City Cakes. Exquisite Wedding Cakes By Sylvia Weinstock! A wedding cake that is absolutely romantic, delicious and wonderfully designed. Sylvia Weinstock offers some of New York's absolutely elegant wedding cakes. For 30 years Sylvia Weinstock has been creating celebratory cakes and is a veteran cake designer in the city. Sylvia Weinstock Cakes is the place where you can order amazing cakes with elegant designs with an absolutely wonderful taste. So order your cake today. 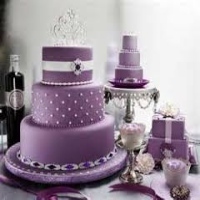 Whether it's a birthday, anniversary, or wedding, Sylvia Weinstock Cakes has it all for you. Elegant and Wonderful Wedding Cake By Sugar Flower Cake Shop! If you're planning a wedding and want the best wedding cake there is, look no further and have a cake made by Sugar Flower Cake Shop where the cake is uniquely designed and delicious, fit for a perfect wedding. Amy Noelle the woman behind Sugar Flower Cake Shop is renowned for spectacular designs on cakes and was featured in several magazines in New York. She is one of the famous cake designers in the city. So make your wedding complete and have a cake uniquely designed by Sugar Flower Cake Shop, where the imagination is the limit. A Wedding Cake That Emulates Beauty! Elegantly Iced offers wedding cakes that are elegantly designed and hand-crafted in detail to make the perfect wedding cake that makes a great center piece for the wedding. 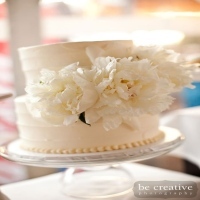 For many years Elegantly Iced has made many wedding cakes, each of them unique and elegant to satisfy clients. 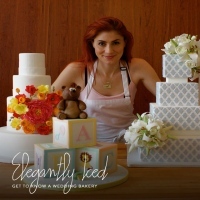 With its highly trained pastry chef, headed by Lindsey Gamble, Elegantly Iced is one of New York's best cake designers in the city. So if you're planning for a perfect wedding, have your wedding cake designed by the best, only at Elegantly Iced. A Wedding Cake That Makes The Wedding Complete! 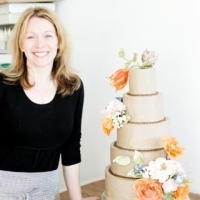 Ruth Drennan Cakes offers a wedding cake that is natural in design filled with beauty and a work of art. The cakes are designed to be a perfect centerpiece at the wedding, where it complements the couple for their love and their lasting relationship. Each wedding cake is unique and carefully hand crafted to be one of a kind and beautiful for what it is. Ruth Drennan wedding cakes are one of New York's desired cakes and were even featured in New York Weddings Magazine. So order a wedding cake from Ruth Drennan Cakes and make your perfect wedding complete and beautiful. A Wedding Cake Perfect In Design, Perfect In Taste! 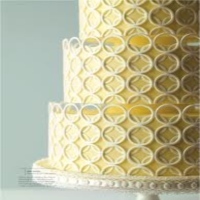 CMNY Cakes is the home of the best and most beautifully designed wedding cakes in New York. With a perfectly designed and highly detailed cake, it will surely be a wonderful center piece for the wedding. CMNY Cakes has some of the best and highly skilled pastry chefs in the city, where they were trained to be detail oriented and creative. So order a wedding cake from CMNY Cakes, where perfection and beauty can be seen in their wedding cakes. Mark Joseph World Class Wedding Cakes! Mark Joseph Cakes is one of the most celebrated pastry chefs in New York, where all the cakes are crafted in detail and the taste is absolutely delicious. 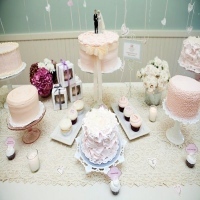 The cake is a perfect centerpiece in a wedding. With its stunning design and attractive colors you will surely want to grab a bite. Mark Joseph is one of New York's best wedding cake designers and was awarded The Knot Best of Weddings in 2011. Also he was featured in several magazines and on the Martha Stewart Show. A Beautiful Wedding Cake That Makes A Great Centerpiece! Baked NYC is home of the classic American bakery, where they prepare an absolutely scrumptious and beautiful wedding cake. Each cake is carefully hand crafted and each detail is emphasized in order to make the cake eye catching and gorgeous. 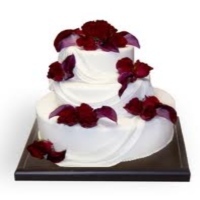 Baked NYC cakes make a perfect wedding cake that is great in taste and a centerpiece for the wedding. So order from Baked NYC today, where the cake is fun, modern, delicious, and beautiful. It's a wedding cake that only Baked NYC can create, so make your wedding day special and have a cake from Baked NYC. A Deconstructed Wedding Cake That Is Simple Yet Beautiful! Magnolia Bakery is the home classic American baked goods where they specialize in cupcakes that are mouthwatering and absolutely scrumptious. The bakery also offers wedding cakes, a deconstructed style of wedding cake that is simple yet beautiful, elegant in design and rich in flavor. Your wedding day will be complete with a Magnolia Bakery wedding cake. Magnolia Bakery is the place where the pastries are just simply delicious and delectable. 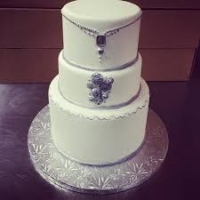 So have a wedding cake custom designed by Magnolia Bakery and make your wedding day complete.